Der "STAC" Algorithmus war die uns damals vor 1990 als einziges wirklich funktionierendes verlustfreies Kompressions- Verfahren bekannte Methode. Sie wurde in 1983 entwickelt und von einer (damals) 2 Mann Klitsche (Gary W. Clow und Doug Whiting) namens STAC patentiert. (U.S. Patent Nos. 5,016,009 (the "009" patent) and 4,701,745 (the "745" patent) ). Diese beiden haben es geschafft, große Firmen wie IBM, Novell, HP und viele andere von der schnellen effizienten und absolut verlustfreien Echtzeitkompression zu überzeugen und damit zu begeistern. Allein Microsoft wollte extrem wenig oder kein Geld dafür bezahlen, um die Technologie in DOS 6.0 einzubauen und dann gab es Krieg. Denn das STAC Verfahren war damals wirklich einmalig. Natürlich wollten sie (wie auch DEC bzw. Quantum mit den DLTs) davon über Jahre profitieren. 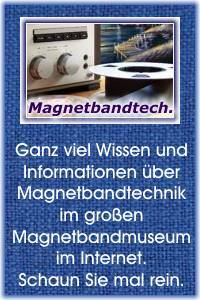 Parallelen mit dem aus der Hifi und Musik Branche sehr bekannten Dolby Strereo Rauschunterdrückungssystem sind wirklich zutreffend. Beide Firmen hatten dann die patentierten Methoden in Chips integriert ( Experten sagen in Silicon gegossen) und diese komplett als Hardware vermarktet. Damit haben sich STAC wie auch DOLBY einen Namen gemacht. Es ist sebstredend, daß diese Technologien wirklich einmalig und super funktioniert haben, bis heute. Im Jahr 1998 hat Stac dann die Halbleiter Abteilung per Spin-off ausgegliedert und mit einem eigenen Namen versehen. Jetzt heißen die Chips eben Hi/fn. Es steht jetzt Hi/Fn drauf, es ist aber immer noch STAC drinnen. SAN DIEGO, Dec. 16, 1998 -- Stac, Inc. (Nasdaq: STAC) today announced that it has completed the spin-off and distribution to its stockholders of its shares of Hi/fn, Inc. (Nasdaq: HIFN), its semiconductor subsidiary. As part of the distribution, effective immediately after the close of market trading on December 16, 1998, holders of Stac common stock will receive a dividend of one (1) share of common stock of Hi/fn, Inc. for every 3.9455 shares of Stac common stock. Regular public trading of Hi/fn shares under the ticker symbol "HIFN" will begin as of December 17, 1998, at which time Stac common stock will trade ex-dividend. Stac also announced that, effective December 17, 1998, its name will become Stac Software, Inc. to better reflect the Company's focus on providing enterprise storage management software. "With the spin-off of Hi/fn completed, Stac is now positioned as a 'pure-play' enterprise storage management software company offering products under the Replica and ReachOut brands," said Gary Clow, Stac's chairman and chief executive officer. Founded in 1983, Stac, Inc. is known worldwide for its innovations in data compression. The company builds on these advancements to create high-performance systems recovery software solutions for enterprise customers. Stac has established strategic relationships with Hewlett-Packard, IBM, Legato Systems, Microsoft, Network Associates, Novell and other industry leaders. Hi/fn, Inc. of Los Gatos, California makes integrated circuits and software for manufacturers of computer networking products. Hi/fn's integrated compression-encryption technology is central to the growth of the Internet, helping to make electronic mail, web browsing and Internet shopping faster and more secure. Nearly all network router manufacturers use Hi/fn's patented technology to improve data packet processing. Stac, Replica and ReachOut are trademarks or registered trademarks of Stac, Inc. All other trademarks are property of their respective owners. Soweit der offizielle Teil der Story. Dez. 1998 - Zuerst wurde die Halbleiter Abteilung verselbständigt, dann wurde die Firma umbenannt in Stac Software, Inc.
April 2000 - Stac Software, Inc. announced the Company is changing its corporate name to Previo, Inc..
July 2002 - Previo, Inc. announced a series of actions related to the previously announced divesture of its product lines and other assets. Previo has entered into a definitive agreement with Altiris, Inc. whereby the Company will sell its core technology and related non-cash assets to Altiris. Previo's Board of Directors also approved the dissolution and liquidation of the Company and have directed the Company to prepare a proxy for stockholder approval of these actions. In addition, Previo has terminated all of its U.S. employees except for a minimal staff that will handle matters related to the expected dissolution. Die Buschtrommel sagt, eigentlich wurden sie von Microsoft bewußt geplättet, genauso wie Netscape und Novell und viele andere. Denn: Microsoft hat den Stac Code geklaut und in DOS 6 bewußt illegal als sein "Double Space" eingebaut. Microsoft was found guilty (schuldig) in 1994 of violating STAC's patent on data compression. The cost $120 millions (andere sprechen von nur $73 millions) in compensatory damages. Und die Moral von der Geschicht, "man" ärgre nun mal Microsoft nicht. Wer mal Microsoft geärgert (besser: "verprügelt") hatte, bekommt es knüppeldicke zurück. Ein Richter verdonnerte dann beide, sich zwangsweise zu einem Überkreuz Lizensierungsabkommen zu einigen und Microsoft hatte dann doch den Stacker bzw. den Algorithmus. STAC war eine "one product company" und konnte mit dem Microsoft "Patentkram" nichts anfangen, aber das eigene Brot und Butter Geschäft war ein für alle Mal dahin. Und dann kam das Ende für Stac. Fünf Jahre nach der Prügel für Microsoft kam für STAC das Ende. April 1998 - The PNG-writing code in Netscape's second release of the Mozilla sources (specifically, in the Composer component--PNG reading in Navigator is still included) was removed ``for legal reasons.'' According to the included ns/LEGAL file, Stac claims that a pair of their patents cover the deflate algorithm (US patent numbers 4,701,745 and 5,016,009). Since no one but Netscape seems to have been contacted by Stac, and since both deflate and inflate received a clean bill of health in the Free Software Foundation's patent search, both the PNG Group and Info-ZIP are considerably puzzled by this. August 2000 - As expected, there's been no further news on the purported Stac patent claims. Douglas L. Whiting, Ph.D., is currently chief scientist at Hifn and previously served as the company’s CTO since October 1997, and as a director of the company since November 1996. Prior to Hifn, Dr Whiting served as president of Stac from 1984 to 1986, vice president of technology for Stac since 1985, and was a director of Stac starting in 1983. Dr Whiting was a co-inventor of the Twofish encryption algorithm, which was a final round candidate in the AES selection process. He holds patents and inventions in compression and encryption that have had significant impact on the computer landscape and are currently employed in countless systems and applications worldwide.